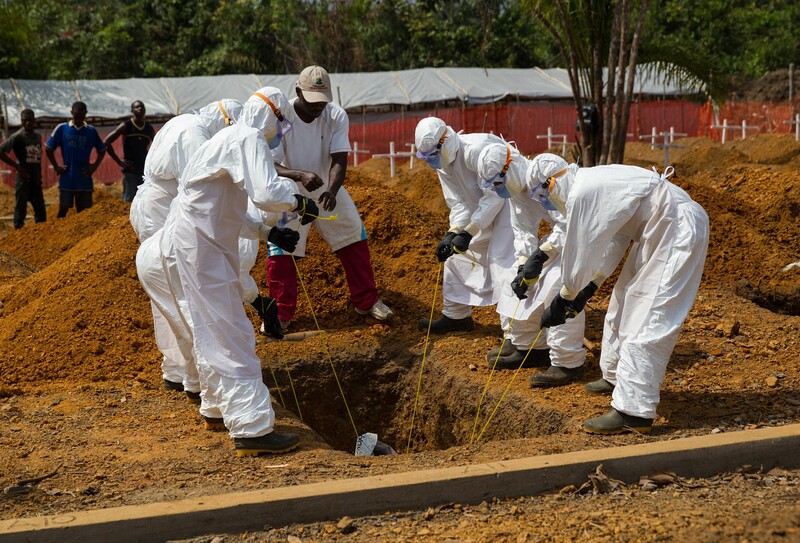 The traditional mourning and burial rituals common in West Africa played a key role in the recent Ebola epidemic focused in Liberia, Sierra Leone and Guinea. 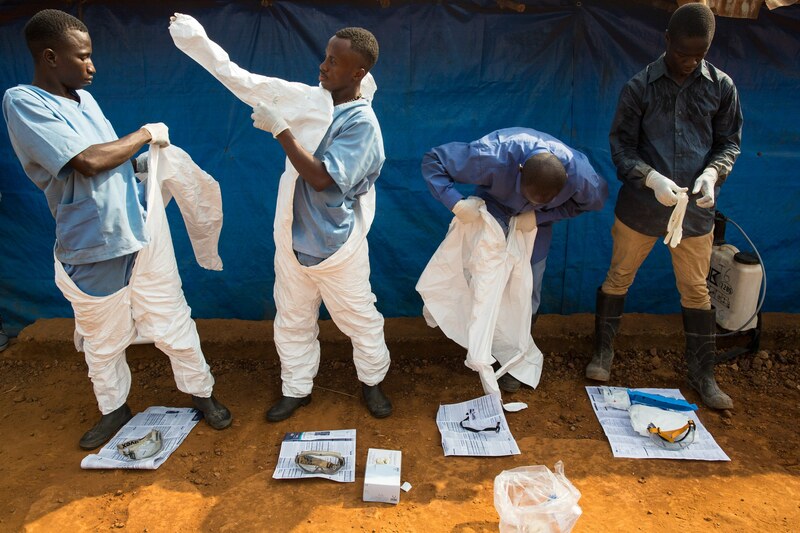 One issue that arose during the height of the outbreak was misunderstanding of burial practices and their imporance to the local community among international health care workers, and resulting mistrust. It is vital for health care workers to adequately understand the social tensions that arose from public health efforts to eliminate these rituals as a mechanism for combatting the epidemic. This paper describes the key rituals that were made incomplete by adherence to safe burial procedures as set out by health care organizations and the cultural impacts of not completing these rituals. In order to effectively address these issues, I present a discussion of death in the anthropological context, detail the specific mourning and burial traditions observed in West Africa, and describe how the Ebola virus can be easily transmitted through these practices. Research shows that mourning and burial traditions that incorporate the use of the corpse are very important in West Africa. When particular rituals are not completed the dead body is left in a liminal, or transitional, state where it is not yet part of the afterlife but not part of human life either. This liminal period causes much anxiety for the relatives of the deceased who want their loved ones to have a complete transition to the afterlife. A major problem during the Ebola virus disease epidemic in West Africa was that the exact actions performed during these sacred rituals also helped to cause further transmission of the disease. 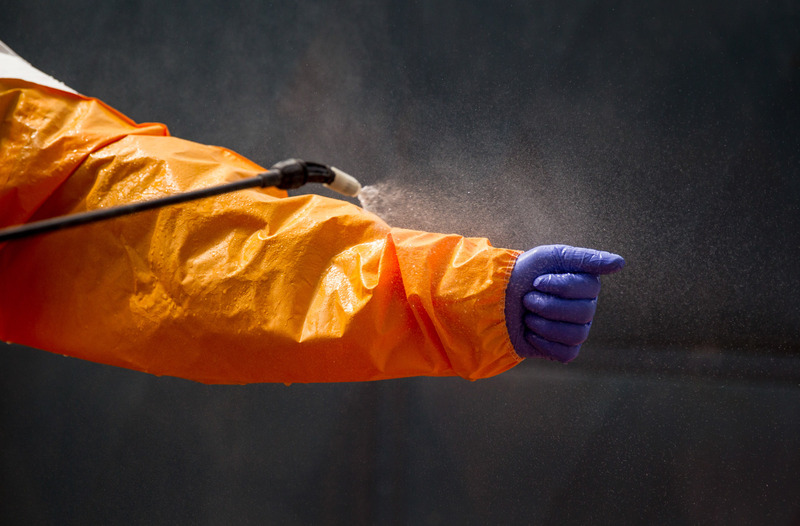 Strict regulations on handling the bodies of Ebola victims evolved in response to this problem. Understanding the value placed on these burial traditions will greatly aid health workers in West Africa to better contain the spread of the disease in future outbreaks. 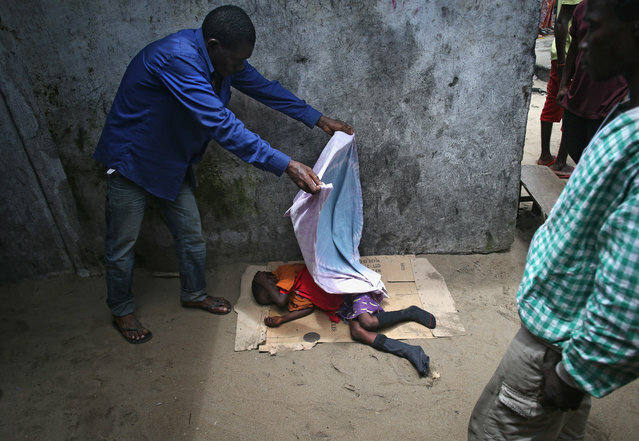 A burial team lowers the body of an Ebola victim into a grave in a safe and dignified process in Monrovia, Liberia; health workers prepare to remove the body of a suspected Ebola victim from his home in Liberia while (next photo) family members hold a small Christian ceremony outside; health workers disinfect one another after carrying an Ebola victim in Conakry, Guinea (all preceeding photos: UNMEER/Martine Perret ND-2); a 10-year old boy, suspected to be sick with Ebola after his mother and younger brother died of the disease, is covered with a blanket it in the West Point slum of Liberia (photo © John Moore/Getty Images). The field of anthropology explores the multiple aspects of death, ranging from rituals and celebrations of death and mourning to reinventions of death over time and space to the political lives of corpses. To a certain extent, anthropological research on death seeks to answer the question: Is death a universally understood human condition or is it a culturally bound habit of thought? Is death a universally understood human condition or is it a culturally bound habit of thought? The ways human beings interact with death and death related concepts speak to whether they feel death is something to be resisted or embraced. Studying how a particular society reacts to the demise of its fellow members is central to understanding death. Classic anthropological writings on death, loss, mourning, and remembrance focus primarily on indigenous death traditions in small-scale societies but more contemporary death studies approach a wider selection of death related topics. Anthropology of death has a combined interest in both the conceptual and the observational aspects of death. The conceptual portion studies what a population believes about death and the afterlife and the observational part seeks to understand how the population actually responds to a death in their society. Through collecting ethnographic data about a specific culture to conducting comparative studies attempting to uncover cross-cultural commonalities, anthropologists have theorized a few important metaphors that should be considered when approaching death studies. Robert Hertz (1960) wrote one of the most influential works about anthropology and death in the early 20th century. Many of the theories he presents have formed the foundation of understanding death within anthropology. Hertz (1960) primarily looks at the phenomenon of the second funeral practiced in many cultures. The premise behind a second funeral is in the fundamental belief that a human is comprised of two parts: a body and a soul. Hertz (1960) observes that the first funeral is mainly concerned with cleansing the body, both literally and symbolically, of pollution and sadness by means of physically removing bodily remains (earth burial, endo-cannibalism, mummification, cremation) from the social world of networked relationships. The second funeral, often completed years later, prioritizes the initiation of the dead person’s spirit to the realm of its ancestors. A dead person is granted a new social status which precedes a change in the relationship between the dead and the living. Once the soul of the dead person is united with its ancestors, it joins a revered group that continues to be culturally significant to the living (Davies, 2000). The most notable conclusions from his studies include: (1) Death is perceived widely as a process and not an instantaneous event; (2) Death is the beginning of a process through which a dead person transitions to becoming an ancestor; (3) Death is comparable to a regeneration of life because it is similar to an initiation into a social afterlife (Hertz, 1960). With regard to funerary rites, Hertz (1960) approaches the subject as a regeneration of life in a different medium. Funerary rites resemble an initiation that transfers the dead person from one domain to another. As a continuation of funerary rites, Hertz (1960) asserts that mourning rituals of the living are “a direct consequence in the living of the actual state of the dead” (Hertz, 1960). Through this interpretation Hertz (1960) maintains that the status of the dead can be perceived in the actions of the living and that the survivors of the dead are freed from the obligation of mourning at the completion of the second funeral, coincidentally, when the spirits of the dead are united with their ancestral community (Davies, 2000). Hertz’s (1960) work in relation to how the death of an individual affects and is reacted to by a society is central in later studies on the anthropology of death. Stemming from one of Hertz’s (1960) theories about understanding death within anthropology is the argument of death being considered a single event versus it being looked at as a continual process. In many Western societies, death is universally assumed to be one specific event that can be accounted for though documentation such as time of death on a death certificate. However, this is not the normal assumption in many other cultures, which delineate a difference between physiological demise and social death. As Bloch (1988) describes, a “punctual view of death” is fairly narrow-minded as many cultures view death as a long and complex process with no distinct separation between life and death (Bloch, 1988). A focus on understanding death as a regeneration of life is the main theme of the work by Bloch and Parry in 1982, which was influenced by Hertz’s (1960) idea of a recreation of life through death. Often cultures will have certain reference points and metaphors to differentiate the degree to which a person is alive or dead. For example, the Merina people living in Madagascar use images of wetness or dryness to decide how dead or alive an individual is. In their case, a newborn infant is considered very alive as compared to a very elderly person who is almost dead. For the Merina, total death and completion of drying is only achieved when the bones of the deceased are dug up and placed in communal tombs (Bloch and Parry, 1982). Another widely supported anthropological theory about death is viewing it as a journey or a rite of passage. Though many cultures view death as a transition, the endpoint of this journey varies. It may be one that reunites the spirit with nature, welcomes the newly deceased to their ancestral abode, or the ultimate destination of this journey may culminate in the rebirth of the dead. Arnold van Gennep first introduced definitions for the structure of rites of passage in 1960. His main argument is that any rite of passage consists of three fundamental parts: separation, transition, and incorporation. In addition to noting that an individual must be separated from their original role in society before becoming integrated into the new role, van Gennep (1960) also identifies a vital transitional period he calls the liminal period, which reinforces the idea of ritual as a process (van Gennep, 1960). Adding to van Gennep’s work, Victor Turner (1969) also explores the rituals and rites of passage, specifically taking the time to expand the concept of liminality. His writing takes the original definitions of the liminal period as an intermediary ritual phase and develops it further to encompass all people who are “betwixt and between” social boundaries (Turner, 1969). Death as a rite of passage can be fit into the same framework established by van Gennep (1960) and Turner (1969). The separation of the spirits of dead people from their bodies as well as their social obligations signifies the first step in the rite of passage. Next, the spirit enters a sort of undefined in-between period where it is no longer a member of the community of the living but is also not part of the community of the dead (Huntingdon and Metcalfe, 1991). It is during this liminal period that many cultures believe that the body and soul is most vulnerable (Turner, 1964). Finally, at the end of the journey, the soul is incorporated into the ancestral community or another designated culmination and given a new role within society. Often the fate of the spirit of the deceased is paralleled to the fate or condition of the body. For example, in some parts of Borneo the bodies of the dead are left to ferment in large jars and viewed as repulsive and formless and the soul is similarly viewed as homeless during this period. Once the flesh has dissolved and only the bones are left can the ritual journey be completed (Huntingdon and Metcalfe, 1991). A consideration of the effect of the transitional period when looking at death as a rite of passage leads into a discussion of the unincorporated dead. This unique population contains what may be termed “wandering spirits.” Many cultures consider these unincorporated dead spirits to be permanently trapped in the liminal state of the rite of passage. In a more concrete sense, this group of dead may include the missing whose loved ones never had the opportunity to achieve closure about their fate. Without being able to perform the appropriate rituals, the unincorporated dead cannot be integrated into their ancestral society. Since they also cannot be brought back into the world of the living, the unincorporated dead are believed to find their sustenance at the expense of the living (Counts and Counts, 2004). Cultures have specific strategies in place to prevent the souls of the dead from reentering the world of the living. For example, the Tomb of the Unknown Soldier in Arlington National Cemetery serves as a place for commemorating the missing and unincorporated soldiers of the military (Wagner, 2013). In this example, the tomb provides a concrete location where the souls of the missing soldiers can complete the rite of passage and become properly integrated into the world of the dead. At the core of understanding death within most traditional cultures is making sense of the death ritual. Though anthropologist have not uncovered any universalities among death rituals, some general trends have been recognized. The elaborate mortuary rituals conducted within many societies are designed to demonstrate social status and power (Hertz, 1960). Anthropologic studies about death generally agree that the impact of a death is directly related to the perceived social status of the dead person. Hertz (1960) concluded, “At the death of a chief, or a man of high standing, a true panic sweeps over the group” (Hertz, 1960). Through this statement, Hertz (1960) conveys that a death is especially disruptive to a society when it happens to a person who is important in maintaining the society’s functional and moral order. At one end of the spectrum of social class would be the death of a high powered leader in a community and at the other end is the death of a newborn infant who is not yet considered a fully social person. Especially in regions of high infant mortality, parents often experience infant deaths privately. In Northern Brazil, the death of a young child is considered a blessing and crying is actively discouraged because tears would prevent the angel baby’s wings from flying to heaven. These mothers are careful to express no grief about the deaths of their children so they may safely reach heaven and look down upon the living world (Scheper-Hughes, 1992). The atmosphere surrounding death rituals are not always somber and sad but may even be positive such as instances described as “celebrations of death” (Huntingdon and Metcalfe, 1991). Controversies about defining the beginning and end of life may also tie into how a culture reacts to a certain death and the extent of the death ritual. A particular society will often have regulations for when a human being is considered a full member of society and this understanding directly relates to how that culture defines a social person (Kaufman and Morgan, 2005). For example, in some cultures, an infant must surpass a certain level of development placed by their society before it is considered fully integrated as a social person and if it should die before the bar is passed then the normal death ritual is not performed because the infant is not considered fully human (Counts and Counts, 2004). Death being seen as a break in the normal social structure of a society is yet another metaphor anthropologists use to understand death. The disruption of social life caused by death may be so drastic that Hertz (1960) goes as far as to say that “it is stricken in the very principle of its life and in the faith it has in itself” (Hertz, 1960). An early British functionalist perspective of death ritual explains that mortuary rites are effective in combating the disruption that arises within a society during death (Malinowski, 1939). The social crisis that is created through the fear and demoralization that is associated with death is resolved though the ritual ceremonies following a death. More importantly, these rituals have a powerful effect on regenerating a society’s social order (Palgi and Abramovitch, 1984). As a result of the deep connection between death rituals and understanding a community’s approach to the meaning of life, a detailed study of death rituals may reveal principal life belief systems within a particular society. An emphasis of death being a problem for the entire society and not just people directly related to the deceased is evident in issues of inheritance, redistribution of statuses and rights, and the reintegration of mourners into everyday life (Palgi and Abramovitch, 1984). Identification of the nature of a social person is vital to how a community begins to connect death with what they define as life. A well-known platform illustrating the controversy in defining the beginning of life is the pro-life/pro-choice movement. Opponents of abortion believe that conception signifies the beginning of human life and thus a fetus is considered just as much of a social person as an adult. Conversely, supporters of abortion identify the life of the social person beginning when an infant is born. There are similar discussions about determining the end of life in the realms of organ donation and brain death. Proponents of brain death associate the life of a social person with having active cognitive function and therefore a person diagnosed as brain dead is considered equal to the end of life, or death. On the other hand, cultures that don’t believe in the existence of brain death associate every part of the human body to be connected to the person’s spirit, which remains intact even after death. Therefore, removing part of the body through an organ donation is equated to killing the person because their spirit is broken (Sharp, 2007). The strong cultural association of death shapes the anthropology surrounding death with ideas about life. The contrast between what defines a good death versus a bad death is one that many anthropologists have studied through their research. The essence of a good death is one that represents a certain cultural ideal that allows for victory over death or the regeneration of life. A bad death is filled with unpredictability, violence, and self-harm, leaving survivors in despair and hopelessness (Bloch and Parry, 1982). Traumatic events, suicide, homicide, and deaths from motor vehicle collisions are commonly put into the category of a bad death. A good death is one that is expected, generally free of pain, and happens to elderly individuals who have fulfilled their lives and are now surrounded by their descendants. It is important to note that the delegations of a good death and a bad death do not represent the moment of death itself but the moments that precede it. In studying how the Vaquieros view death, Maria Catedra (1992) described three different categories: a good death, a bad death, and a tragic death. In this conception of death, a good death is understood as one that is happy, sudden, of old age, or natural, a bad death is one at the culmination of a slow or chronic illness, and lastly, a tragic death is through accidents, misfortune, or violence (Catedra, 1992). Additionally, a good death may have specific cultural factors associated with it such as the setting and timing of the death, the physical posture of the deceased, the thoughts and actions of the person in the final moments leading to death, and manner and cause of the death (Abramovitch, 1999). For example, an Indian Hindu should ideally die out in the open air while speaking the names of the gods because their thoughts directly before the time of death will influence the fate of their rebirth (Parry, 1994). Studying death in the field raises certain dilemmas and challenges for an anthropology fieldworker because death is a very emotional and often taboo subject. In most Western societies, death and mourning are very private experiences and are meant to be times of solidarity for the mourners. This cultural understanding poses a problem for researchers because intruding a mourner’s space at such times is often what needs to be done to learn about the specific rituals. The need for analyzing acute experiences of grief or reactions to a death requires ethnographers to infiltrate very private moments (Fabian, 1973). Abramovitch, H. (1999). Good death and bad death. In R. Malkinson, S. Rubin, & E. Witztum (Eds. ), Traumatic and Non-traumatic Loss and Bereavement. New York: Psychosocial Press. Bausch, D.G., & Schwarz, L. (2014). Outbreak of ebola virus disease in Guinea: where ecology meets economy. PLOS Neglected Tropical Diseases. 8(7). Bloch, M., & Parry, J. (Eds. ), (1982). Death and the Regeneration of Life. Cambridge, UK: Cambridge University Press. Bloch, M. (1988). Death and the concept of person. In S. Cederroth, C. Corlin, & J. Lindstrom (Eds. ), On the Meaning of Death: Essays on Mortuary Rituals and Eschatological Beliefs. Uppsala, Sweden: Uppsala Studies in Cultural Anthropology, 8. Catedra, M. (1992). Kinds of Death and the House. In Malen, M.A., Death, Mourning, and Burial: A Cross-Cultural Reader. Oxford, UK: Blackwell 77-90. Counts, D.A & Counts, D. (2004). The good, the bad, and the unresolved death in Kaliai. Social Science & Medicine. 58, 887-897. Davies, D.J. (2000). Robert Hertz: The Social Triumph Over Death. Mortality. 5(1), 97-102. Fabian, J. (1973). How others die: Reflections on the anthropology of death. In Robben, C.G.M. Antonius (ed.) 2004. Death, mourning and burial: A cross-cultural reader. Oxford, UK: Blackwell 49-61. Geschiere, P. (2009). The perils of belonging: Autochthony, citizenship, and exclusion in Africa and Europe. Chicago: University of Chicago Press. Hamilton, L. (2015, January 14). Ebola's Hidden Costs.The Atlantic. Goody, J. (2013). Death and the Ancestors: A Study of the Mortuary Customs of the LoDagaa of West Africa. Oxford, UK: Routledge. Huntingdon, R., & Metcalf, P. (1991). Celebrations of Death: The Anthropology of Mortuary Ritual. (2nd ed.). Cambridge, UK: Cambridge University Press. Irish, D. P., Lundquist K.F., and Nelsen V.J., (eds). (1993). Ethnic variations in dying, death and grief: Diversity in universality. Oxford, UK: Taylor & Francis. Jindra, M. & Joël N., eds. (2013). Funerals in Africa: explorations of a social phenomenon. New York: Berghahn Books. life. Annual Review of Anthropology. 34, 317-41. Magesa, L. (1997). African religion: The moral traditions of abundant life. New York: Orbis Books. Malinowski, B. (1939). The group and the individual in functional analysis. American journal of sociology. 44(6). Mbiti, J. S. (1969).African Religions and Philosophy.London, UK: Heinemann Press. Oleribe, O. O. (2015). Ebola virus disease epidemic in West Africa: lessons learned and issues arising from West African countries. Clinical Medicine. 15(1), 54-57. Palgi, P., & Abramovitch, H. (1984). Death: A cross-cultural perspective. Annual Review of Anthropology. 13, 385–417. Parry, J. (1994). Death in Benares. Cambridge, UK: Cambridge University Press. Piot, C. (2010). Nostalgia for the future: West Africa after the Cold War. Chicago: University of Chicago Press. Rosaldo, R. (1989). Grief and a headhunter’s rage. In Robben, C.G.M. Antonius (ed.) 2004. Death, mourning and burial: A cross cultural reader. Oxford, UK: Blackwell 167-178. Scheper-Hughes, N. (1992). Death Without Weeping: The Violence of Everyday Life in Brazil. Los Angeles: University of California Press. Sharp, L. A. (2007). Bodies, Commodities, and Biotechnologies: Death, Mourning, and Scientific Desire in the Realm of Human Organ Transfer. New York: Columbia University Press. Shittu, R.O., Sanni, M.A., Odiegha, L.O. (2015) Awareness, Knowledge and Misconceptions about Ebola Virus Disease (EVD) in a Family Practice Setting in Nigeria, West Africa. Journal of Antivirals and Antiretrovirals. 7(1), 10-14. Tempels, P. (1959).Bantu Philosophy.Paris, FR: Présence Africaine. Turner, V. (1964). Betwixt and between: The liminal period in the rites of passage. The proceedings of the American Ethnological society: Symposium on new approached to the study of religion. 4-20. Turner, V. (1969). The Ritual Process: Structure and Antistructure. Chicago: Aldine Publishing Corporation. Van Gennep, A. (1960). The Rites of Passage. London, UK: Routledge and Kegan Paul Limited. Wagner, S. (2013). The making and unmaking of an unknown soldier. Social Studies of Science. 43(5), 631-636. Wolz, A. (2013). 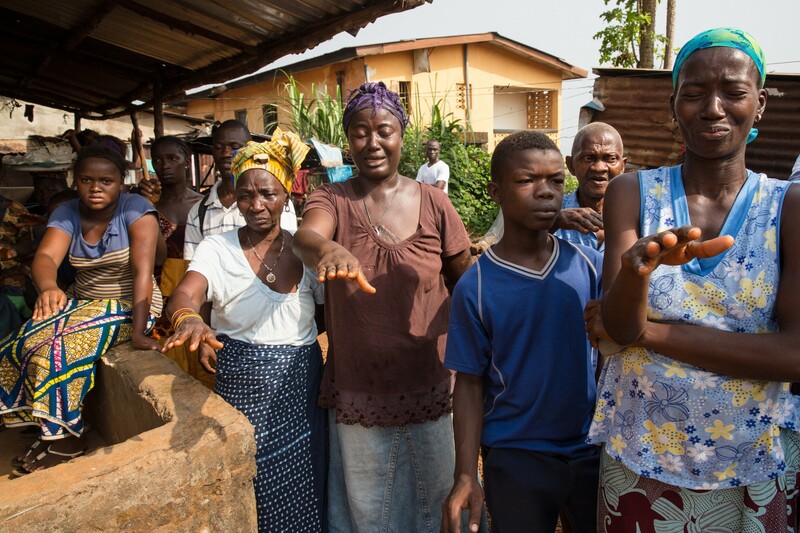 Face to face with Ebola—an emergency care center in Sierra Leone. New England Journal of Medicine. 371(12), 1081-1083.